When I tell people I have seven bridesmaids, they look at me as if I’ve just told them I left my wallet on top of my car and drove off. Aside from the fact that there’s safety in numbers, my bridesmaids are the coolest girls I know and I couldn’t imagine walking down the aisle without them. For starters, I stand absolutely zero chance of resembling a fully-functional adult without them around to tell me that it really doesn’t matter that we’re one candle short in the marquee. And also, when I trip and fall down the aisle in the very high Louboutins I’m planning on wearing, I’ll have 7 people to blame for my clumsiness. 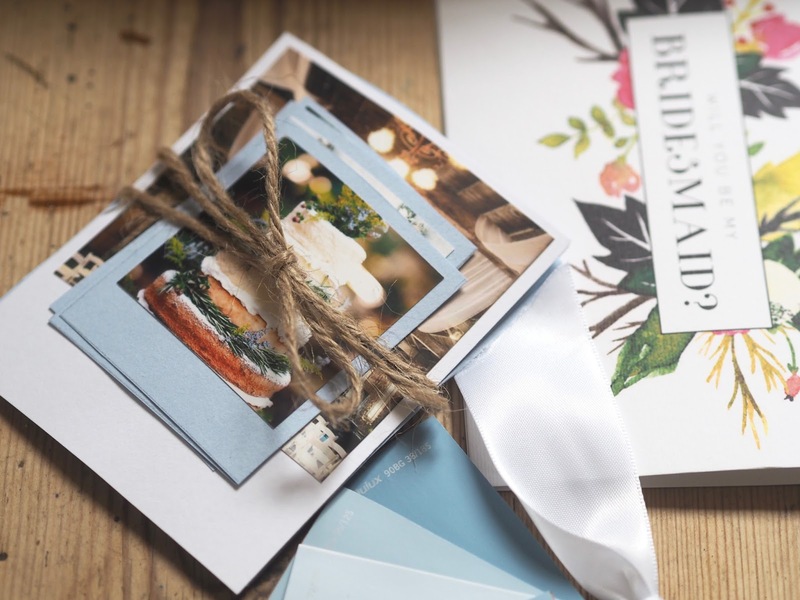 Because everyone knows nothing is the bride’s fault. Ever. 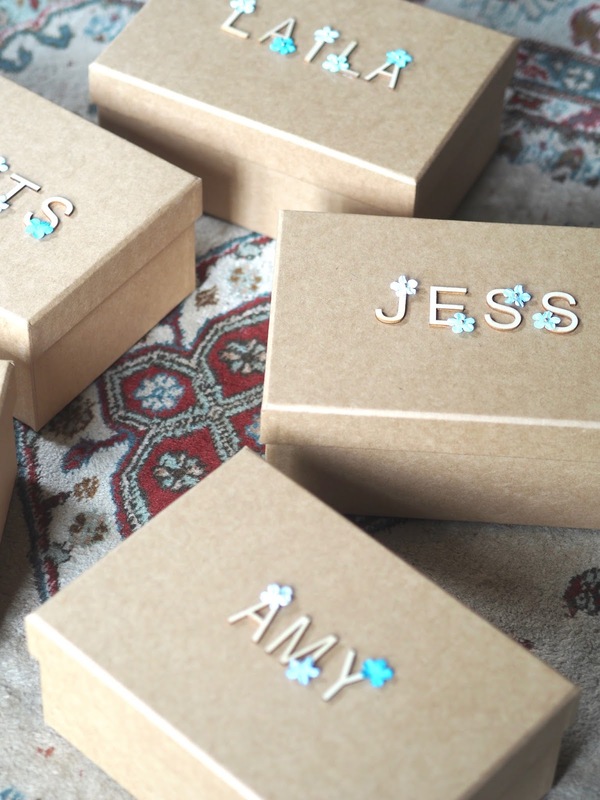 I knew I wanted to do something special for each of them, and so my bridesmaid’s boxes were born and took over my life from February – July. Tom can vouch for me on that one. 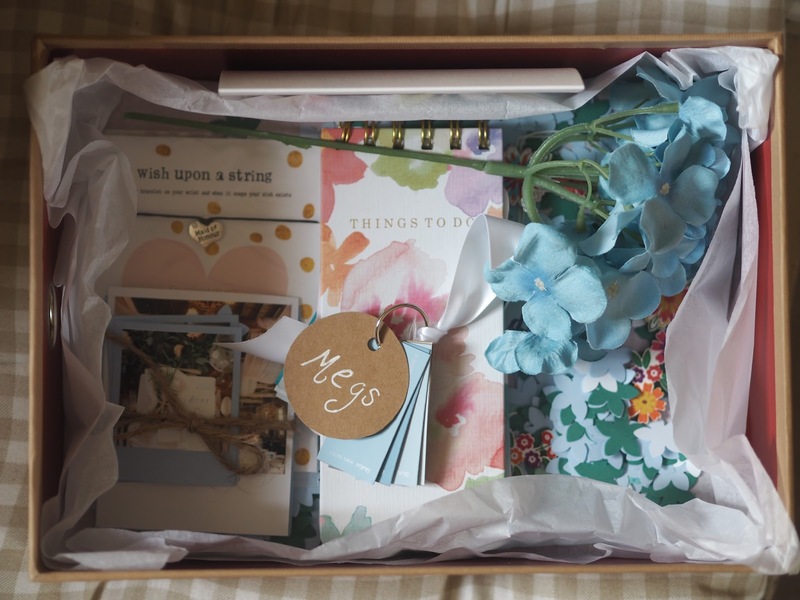 Each of the boxes had its own personal gift – a gift that meant something to both of us. Aside from this, the boxes were identical. Here’s what they had in them. 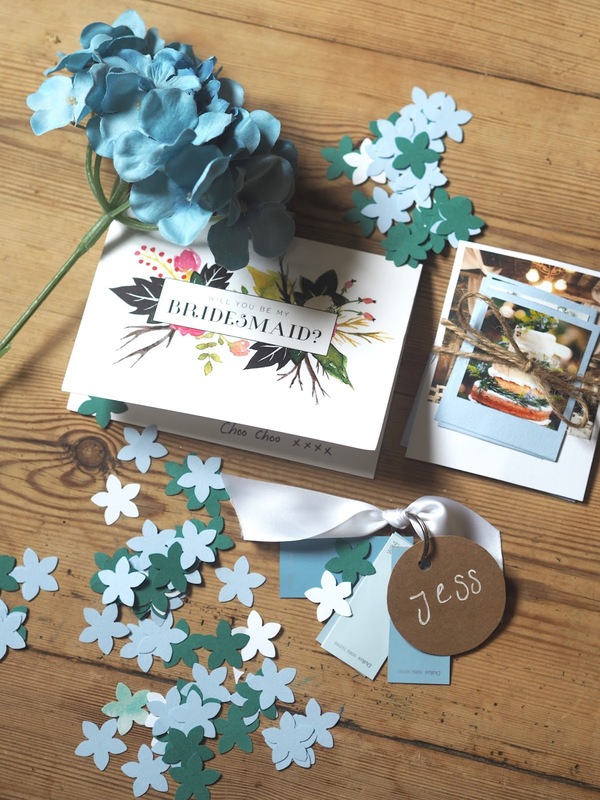 – A handful of hand-cut confetti (I used a flower-shaped palm punch like this one) in our wedding colours; green, baby blue and white. 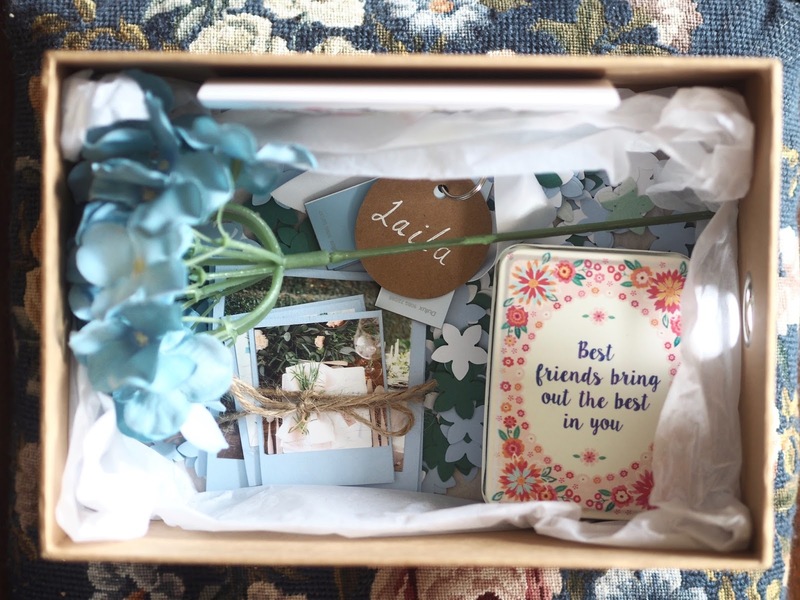 – To give the girls an idea of the vision they’ll be helping me create so help them god, I included a few photos I found on Pinterest and mounted them on to card to look like polaroids. 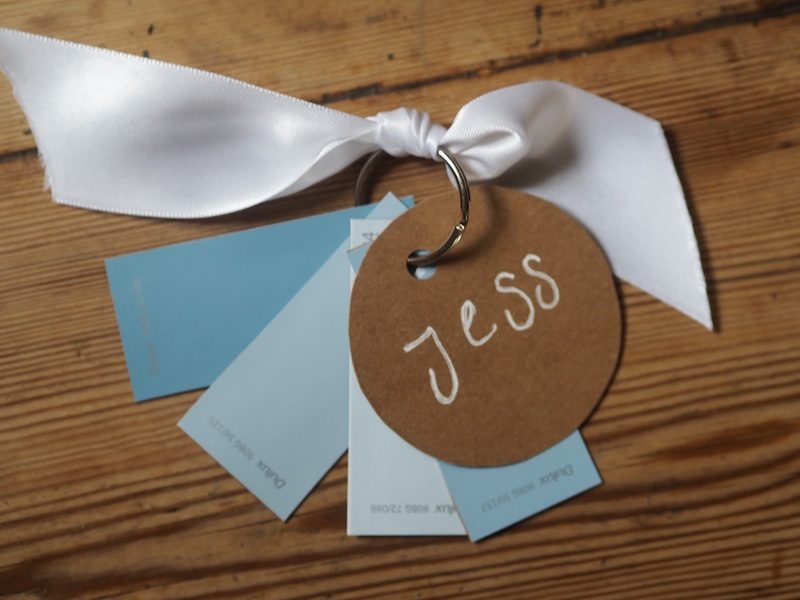 – I also included a keyring of bridesmaid dress colours, because I am not sure if I’d like the dresses to match yet, so I thought it would make shopping a little bit easier if they are to find their own. 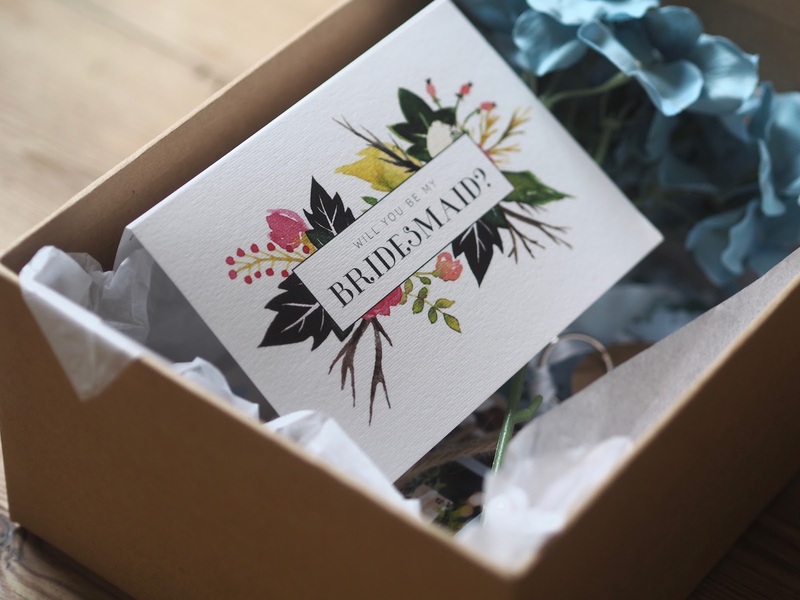 – The beautiful, “Will you be my bridesmaid?” cards are from this shop on Etsy, which is full of beautiful wedding stationery. 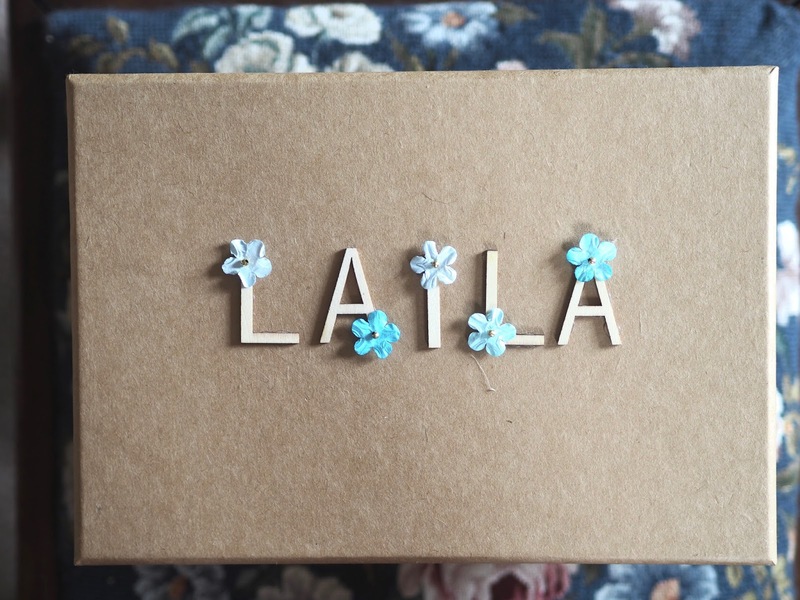 – For the cute factor, I also included a single artificial hydrangea in the baby blue I’m dreaming of for the bridesmaids dresses. 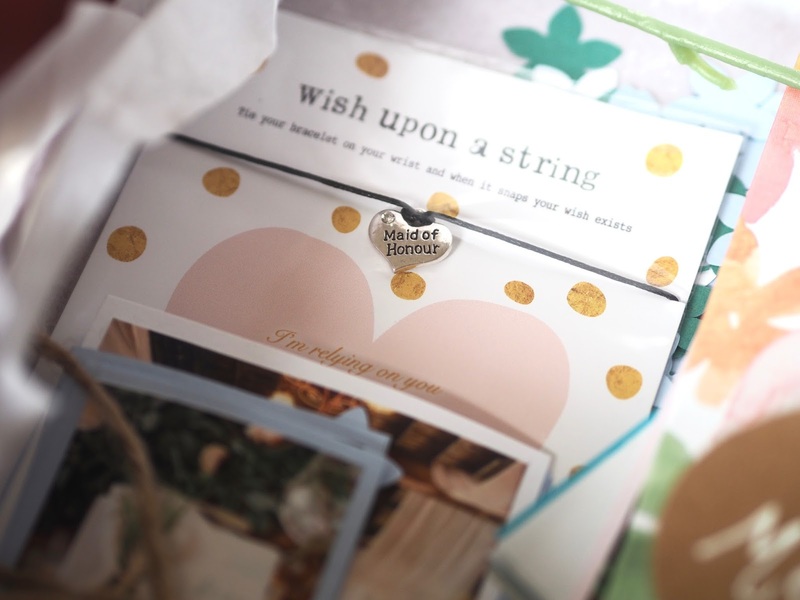 For Megski, my beautiful Maid of Honour who has abandoned her high-flying job responsibilities in favour of e-mailing me lists of important dates and seeking out wedding fairs, I included this absolutely adorable Maid of Honour bracelet from Wish Upon a String. I also popped a sweet little To Do notebook because weddings require lists and Meg is The List Queen. It was probably a little too much fun putting these boxes together. 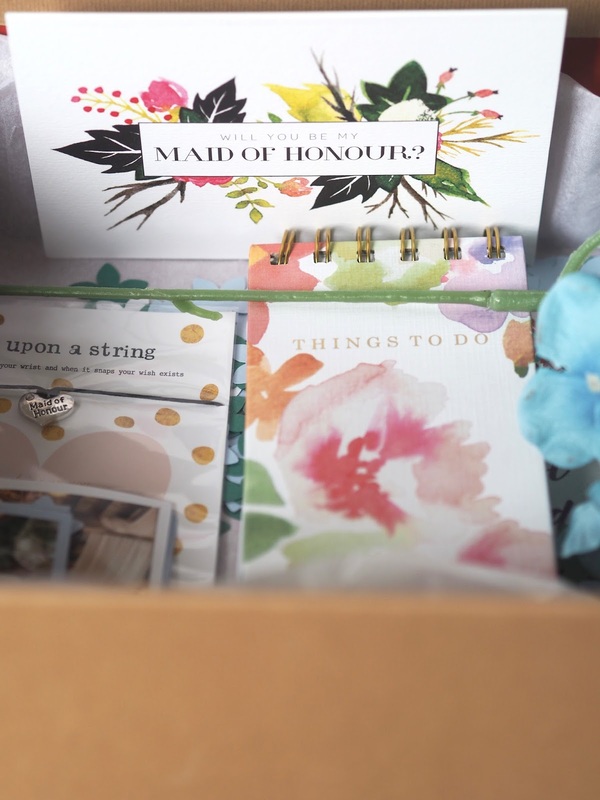 I want to make bridesmaid boxes for everyone I know. 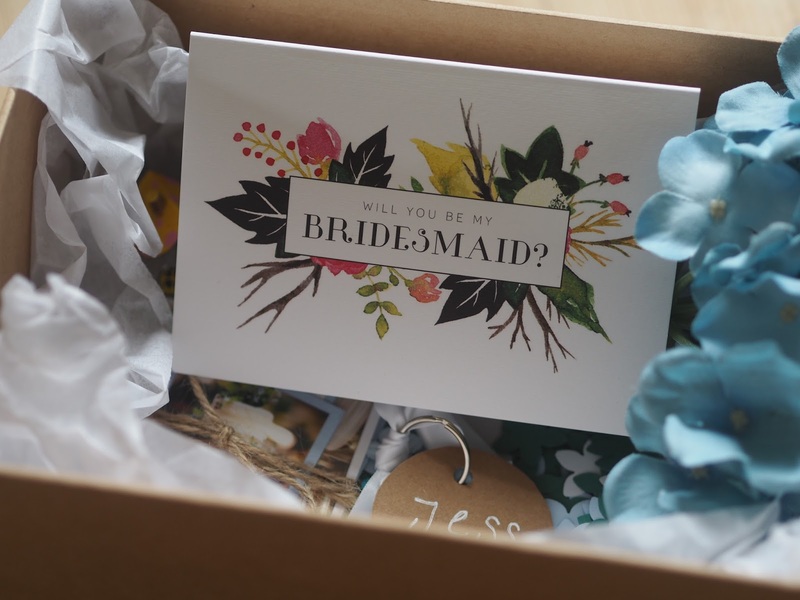 If you’re engaged, did you do something similar for your girls? Or are you still looking for inspiration?